On Oct. 30, the Manzanar Committee announced its fourth annual Manzanar Committee Student Awards Program, a creative works program in which K-12 students may submit essays, short stories, poetry, works of art, including drawings, collages, posters, and works involving technology, including animation, podcasts, movies, or videos. The awards program will recognize students who demonstrate an understanding of his/her guiding principles of social justice in today’s society. Winning entries will be eligible for prizes up to $100, and their works may be presented at the 50th annual Manzanar Pilgrimage on April 27, 2019, on the committee’s website (www.manzanarcommittee.org) and/or blog (https://blog.manzanarcommittee.org). 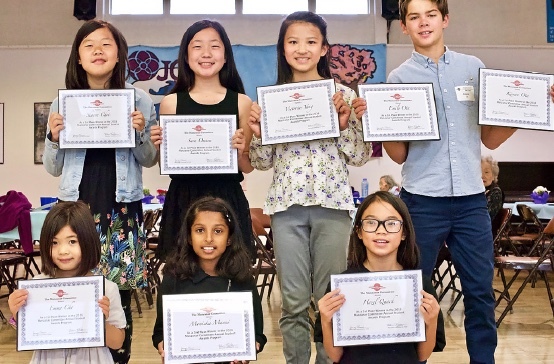 “The Manzanar Committee Student Awards Program provides students an opportunity to demonstrate their understanding of the guiding principles of social justice of the past and how they relate to our society today,” said Manzanar Committee Co-Chair Jenny Chomori. “With 2019 being the 50th anniversary of community-organized camp pilgrimages, we need to take a look at the past and see what we have learned. Categories for submissions include short prose genres, art, and technology. The deadline for entries is March 15, 2019. Winners will be contacted shortly after this date so that they may make plans, if they so choose, to attend the Manzanar Pilgrimage, where they will be presented with their award. For more information, email [email protected] or call (323) 662-5102. The Manzanar Committee is dedicated to educating and raising public awareness about the incarceration and violation of civil rights of persons of Japanese ancestry during World War II and to the continuing struggle of all peoples when constitutional rights are in danger. A nonprofit organization that has sponsored the annual Manzanar Pilgrimage since 1969, along with other educational programs, the Manzanar Committee has also played a key role in the establishment and continued development of the Manzanar National Historic Site.